Your company is spending thousands of dollars to gain attention—and hopefully lots of new customers—at your trade show event. The pressure is on. You need trade show ideas to attract visitors to your booth and keep them there. Your goal: To make meaningful contact with your ideal customers or clients. It’s more than just meeting them. You want to begin a win/win relationship with them. First impressions are lasting impressions. You need your company to be seen, heard, and felt at the convention. • Don’t Forget To Have a Host! Hoping that attendees will grab free candy or promotional pens at your trade show booth is not a winning strategy for success. To rock your next trade show, make sure you have a great quarterback, i.e. a professional host at the helm. Hiring an experienced host/emcee will help put your company in a great light. An outstanding emcee—with great presentation skills—can make all the difference. When you visit a nice restaurant there is a maître de or a host. It’s part of a wonderful experience. Here’s the key to your results: Hire a pro. The main job of a corporate master of ceremonies is simple: He introduces an audience to new experiences, ideas, and interesting people. Remember this: before your host can educate convention attendees about your produce or service, he needs to know all about what you do himself. Does your host understand the Who’s and Why’s behind your organization? Who are you serving? Why should people trust your company? Train your host to represent you well from an attendee’s perspective. Every person who walks by your trade show both is secretly asking this question: “What do these guys do and how could it help me?” Human beings are tuned into the “WIIFM” frequency. What’s In It For Me? Your host must be able to articulate the reasons why people will benefit from doing business with you. Do you save attendees time? Do you save them money? Do you offer a money-back guarantee? Your host must be able to highlight how you help people. A good tradeshow host must be a “Showman” (male or female). Be sure to hire an MC who is likable, fun, and captivating. This means more than merely hiring a good talker. Work with an emcee that can bring the wow factor. Examples: Can he incorporate humor, magic, juggling, improvisation, or drama into your script? Think in terms of a good game show host, not a boring product rep. You have to draw them to your booth before you can tell them your story. It’s essential that your host is able to draw people to your both and keep them there. 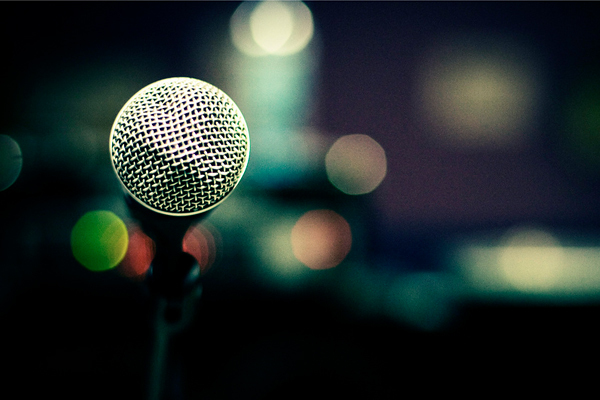 A good emcee will help you increase your reach and visibility at the show. What’s the secret? You need a host with a lot of talent, but not a need to make it all about himself/herself. This may be the most challenging item on this list, but it’s critical. After the convention, you want attendees talking about your product/service, not about how amazing your host was. Just like Johnny Carson in days of old, and Jimmy Fallon today make their show and guests look great, you want a host who makes your company look great. Be crystal clear with your host. You are seeking new relationships and business at you booth, not just applause. Most trade show visitors take all of the gizmos, business cards, promotional fliers, pens, and stickers they receive and throw them right into the trash as soon as they can. “Freebies” are not as fun as you might think. To most attendees they are junk. This is a fact. Nobody wants to come home with tons of nonsense in his or her suitcase. Don’t let your materials end up in the round file. If you must distribute materials, make them: A) Memorable. B) Lightweight. But more than giving out promo materials, you want to give your visitors an experience. Your host can help your visitors have a powerful encounter with your business. This is far more effective than loading them up with more brochures. People don’t retain information. People remember people. One of the secret weapons of a great tradeshow host is the ability to interact with the men and women who visit your booth. Your ideal host is more than just a speaker; he will be an “interactive entertainer” who engages your guests as he is educating them about your unique product/service. Remembering names and faces is a huge plus. Ideally you want attendees to come to your booth multiple times during your convention. Tip: Hire a host who will create lots of people participation. One of the biggest mistakes you can make at your booth is handing out a bunch of your printed information and not capturing the contact information of your attendees. Don’t let this happen! A super-experienced emcee gives people an incentive—prizes and fun!—for leaving their business cards at your booth. Keep in mind that the real purpose of your booth is to build relationships. A solid MC will help you collect the follow up data you need to continue the conversation. 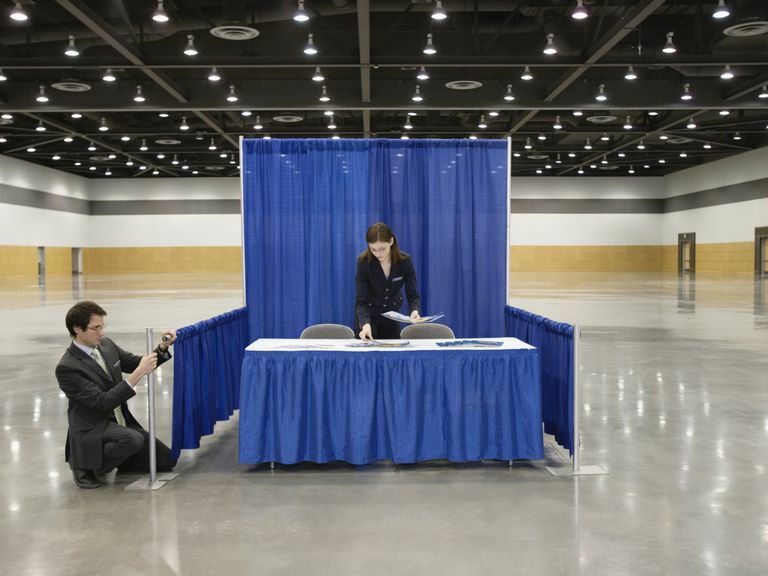 Don’t make the mistake of focusing only on what your trade show booth looks like. The key thing is who is interfacing with your prospects? Who can help you generate excitement and interest at your booth? When you work with an expert trade show host, you will make a stronger impression at the conference. Most importantly, you will have more prospective customers to follow up with. This will help you grow your business while enhancing your brand at the same time.